The Stamp Club is back in Regina! First 2017 meeting recap. After an extra long wait while our meeting space was closed over the holidays, the Regina Philatelic Club met for the first time in 2017 on January 18. There was a full house as it seemed everyone was in a stamp collecting mood. One highlight for me was getting a sneak peek at Bob G’s display for our Annual Stamp Show and Sale in February. It’s cool to see his hockey stamps in one place. I can’t wait to see the display in the frames! We ended the meeting as usual, with an auction. 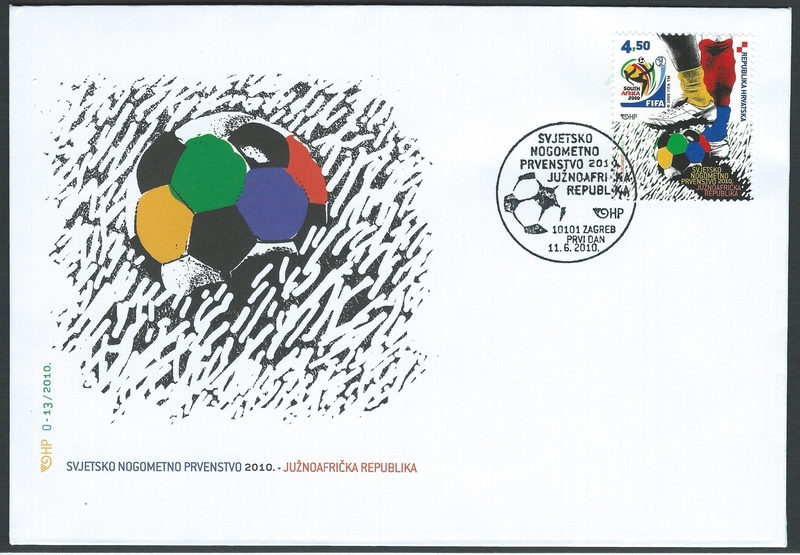 This version seemed rather thick with First Day Covers; I avoided them as long as I could before picking up a cover from Croatia issued for the 2010 football World Cup. Sweet. I’m already looking forward to the next meeting on the first Wednesday in February. Mark, thanks for a providing a very interesting summary of our first meeting of 2017. I love the new website that you developed.